Experts say a massive new overhaul of China's publicity system will improve China's influence overseas and promote the nation's international image. 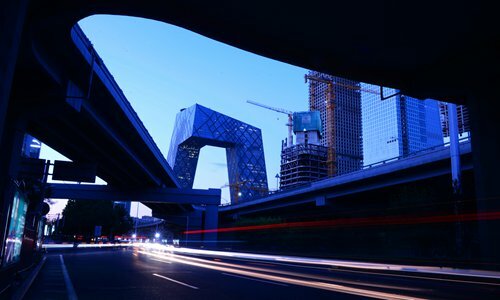 China will set up a powerful State-media conglomerate, unifying three heavyweight State-run broadcasters: China Central Television (CCTV), China Radio International (CRI), and China National Radio (CNR). Called the "Voice of China," the new broadcaster will be directly managed by the Publicity Department of the Communist Party of China (CPC) Central Committee, according to the reform plan on State and Party institutions released by the Communist Party of China (CPC) Central Committee on March 21. "We will strive to build a world-class, national 'aircraft carrier' of modern media, and complete the tasks handed over from the central government," Shen Haixiong, the head of the new media giant and former director of CCTV, said during a symposium on Thursday. "The main responsibility will be to strengthen international communication, tell China's story well and increase China's soft power," Shen said. In the meantime, China will dissolve the State Administration of Press, Publication, Film, Radio, and Television (SAPPFRT) and establish a State Administration of Radio and Television. Press, publication and film will be under the direct management of the Publicity Department. Experts say the new national broadcaster will pool media resources, unify and hone China's media image and make Chinese media more capable in international communication. "In the past, due to China's media system, Chinese media was managed vertically with little integration between different types of media platforms," Yin Hong, a professor with the School of Journalism and Communication at Tsinghua University, told the Global Times. "But a lot of foreign media companies are actually horizontally integrated, such as Times Warner, News Corporation and the BBC, which all have television, radio and digital platforms,"
"The synergy of three news organizations will combine their radio and television resources and personnel. The new platform will be more resourceful, making it a better platform to enhance China's international influence," he said. The merger also comes at a time when the Chinese television industry has been badly bitten by the internet. With the rise of original talk shows and reality programs produced by online streaming sites such as iQiyi, traditional Chinese TV has increasingly lost ground. IQiyi's programs such as U Can U Bibi and The Rap of China were phenomenal hits, attracting millions of views and discussions online. While some youth- and entertainment-focused television stations, such as Hunan TV, have quickly adapted to the trend by establishing their own streaming sites with original content, CCTV has lagged far behind. The new broadcaster aims to tackle this issue. In a symposium with CCTV's literary and art department on March 5, Shen called for more "phenomenal" television programs and the use of the latest technology to attract a younger audience. "[You] should be good at dealing with competition under a new media environment," he said, according to the website of CCTV. One strategy of the new broadcaster will be to cooperate with China's internet giants. Over the past two weeks, Shen has met Baidu CEO Robin Li Yanhong, Jack Ma of Alibaba and Ma Huateng of Tencent in separate meetings, offering to work with them in areas including new media and big data, the CCTV website reported. In a meeting with Ma Huateng, Shen proposed tighter cooperation with Tencent, whose expertise in internet video streaming, data extraction and WeChat operations are critical to media integration. WeChat is China's most popular social media platform. When meeting with Robin Li Yanhong, Shen sought a partnership with Baidu in smart voice recognition, client data analysis and viewership data monitoring, saying these technologies will help China's new media giant reach a bigger audience. "Developing new media is a key task for China's State-run media. If they pool resources together, it will reduce a lot of cost," said Chen Shaofeng, deputy dean of the Institute for Cultural Industries at Peking University. The new reform will also elevate the supervision of movies, which will be brought under direct management by the Publicity Department of the CPC Central Committee. 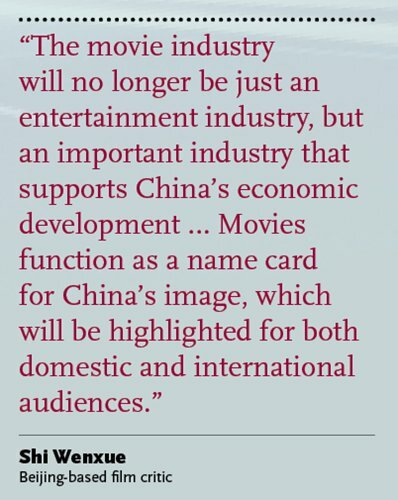 "The movie industry will no longer be just an entertainment industry, but an important industry that supports China's economic development … Movies function as a name card for China's image, which will be highlighted for both domestic and international audiences," Shi Wenxue, a Beijing-based film critic, told the Global Times. According to the reform plan, the production, distribution and screening of films will all be guided and supervised by the Publicity Department. The department will also be in charge of international co-productions and the import and export of films. In the past, the production of films was supervised by SAPPFRT, while the screening of films was the responsibility of the Ministry of Culture. This led to overlapping management and a lack of a unified standard in movie censorship. "Films about the police, for example, needed to be screened by the Ministry of Public Security; those about the People's Liberation Army (PLA) were examined by the PLA General Political Department, and films concerning young people were checked by the Ministry of Education," Shi said. "Having the Publicity Department centralizing China's movie management will address this lack of censorship standards," he noted. The reform is also a recognition of the recent patriotic makeover of Chinese movies, when films showcasing China's national economic and military power like Amazing China, Wolf Warrior 2 and Operation Red Sea achieved tremendous commercial success. According to SAPPFRT, China will select 5,000 cinema halls nationwide as "People's Cinemas" to showcase specially designated mainstream films. Chinese films are also aiming to reach commercial success in the global market, where China has been actively distributing its films. In 2017, Chinese films gained 4.35 billion yuan ($689 million) in overseas box office sales, up 11.19 percent from the year before, according to China Film News. Wolf Warrior 2, which was aired on 400 screens in 35 countries, earned $7.8 million overseas. Detective Chinatown 2, a comedy film starring Wang Baoqiang and Liu Haoran, broke box-office records for Chinese films screened in the UK and Australia markets. Most audiences of these films were overseas Chinese, according to media reports. Zhang Hongsen, deputy director of the SAPPRFT, recently mentioned a three-step strategy for Chinese films to go global in a film symposium, WeChat pubic account Sansheng reported. The first step is to distribute and screen Chinese films in Chinese communities of key global areas (such as California of the US and Canada), allowing overseas Chinese to also enjoy the growth of China's movie industry. The second step is to mobilize foreign audiences to become interested in Chinese films. The third and final step is to form a global marketing network for Chinese films, which will lift China's cultural status as a result.